AlgiGrip has been specially formulated to remove and control green and mustard (yellow) algae in swimming pools, and dams with adequate circulation. It must be remembered that no chemical will work effectively if conditions in which they are to be used is unsuitable. AlgiGrip will work with amazing success at the correct pH and with suitable water circulation. The pH should be controlled at between 7.0 and 7.2 to obtain the best results. It must be remembered that the higher the pH of the pool water, the more costly the chemicals will be to do the same job at the correct pH, and the more the problems that will be picked up along the way, e.g. at a pH of 7.8, 6 times as much chlorine will be required to give the correct chlorine reserve. 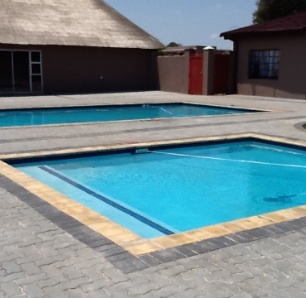 AlgiGrip at a pH of 7.0-7.2 will enable the pool owner to reduce the amount of chlorine required to a half a cup added twice weekly in the summer. The pH must be between 7.2—7.4. 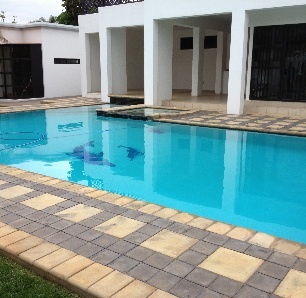 Total alkalinity in marbelite pools should be 80– 120 ppm. 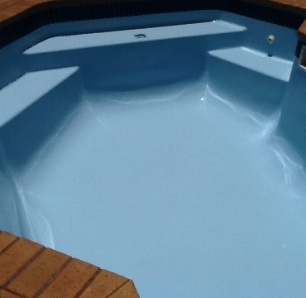 In fiberglass, vinyl and painted pools between 125-150 ppm . Pour 1 ltr of AlgiGrip direct into the weir while the multiport control valve is turned to the bypass position. Run for approximately 30 minutes. Reset the multiport control valve to the filter position again. The performance of AlgiGrip is elevated with the simultaneous use of chlorine reaching 1.0 ppm. Skin contact: Wash with water and soap. If symptoms occur get medical attention. Contact with eyes: Wash with copious supply of water for 20 minutes. Obtain urgent medical attention. Ingestion: Drink large amounts of milk or egg whites. If not available drink plenty of water and seek a poison centre or contact a physician. Do not induce vomiting. Handle with care. Wash hands with water and soap after use. Poisonous if swallowed. Avoid contact with eyes. This product does not control bacteria. Do not use while swimming. Store away from foods. Destroy container by perforating, Do not use for any other purposes. Never use AlgiGrip with other pool chemicals. Keep out of reach of children.